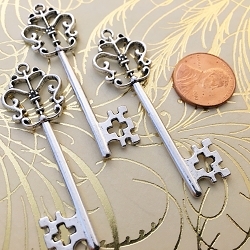 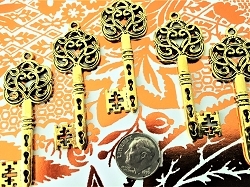 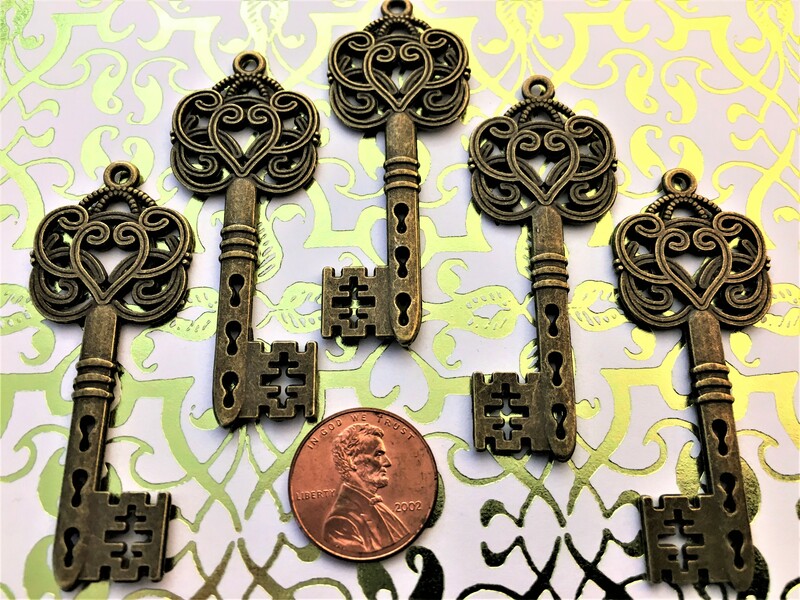 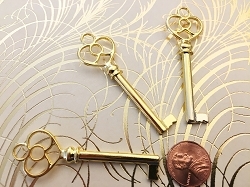 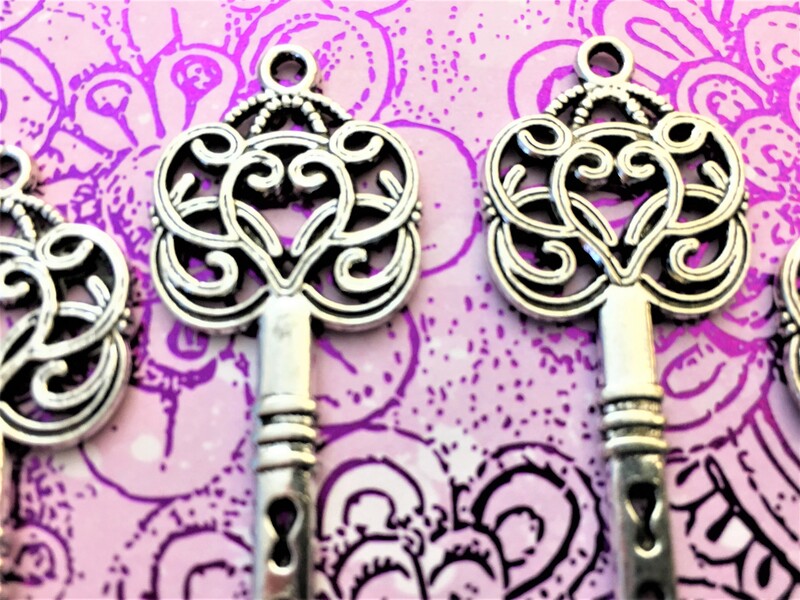 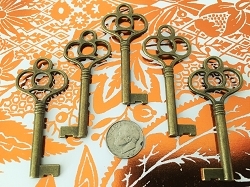 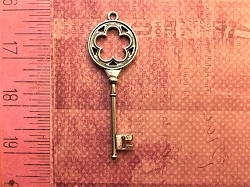 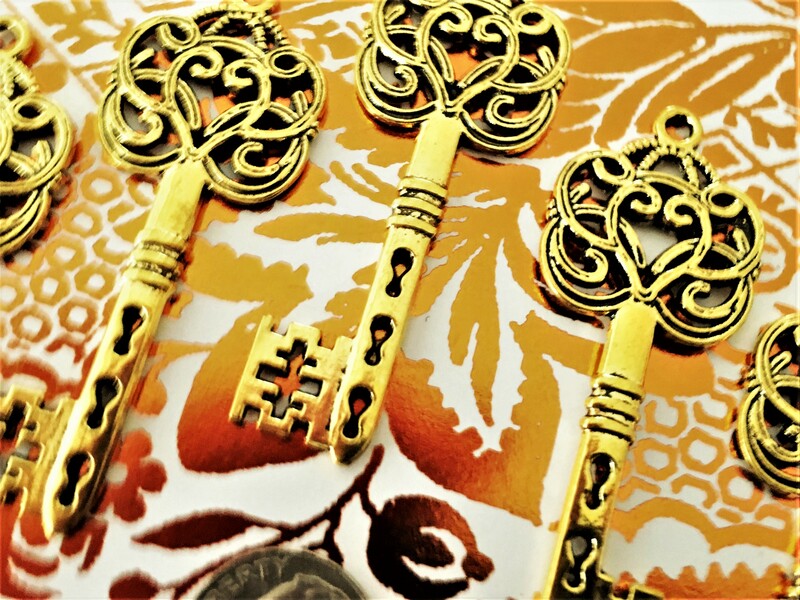 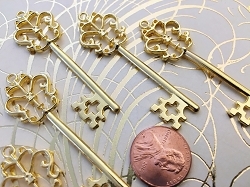 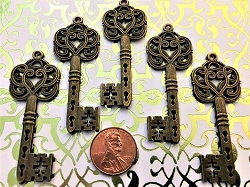 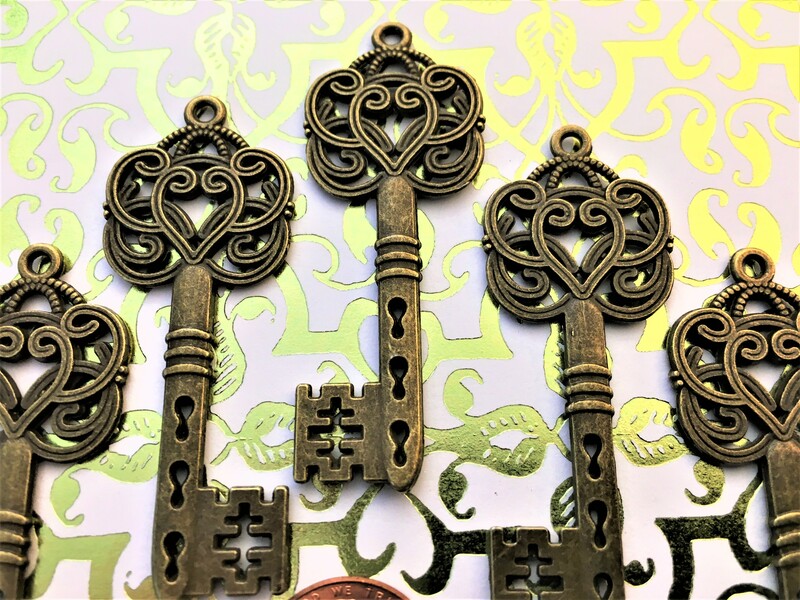 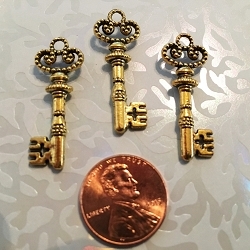 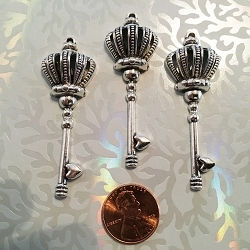 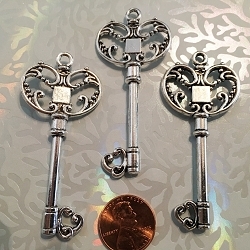 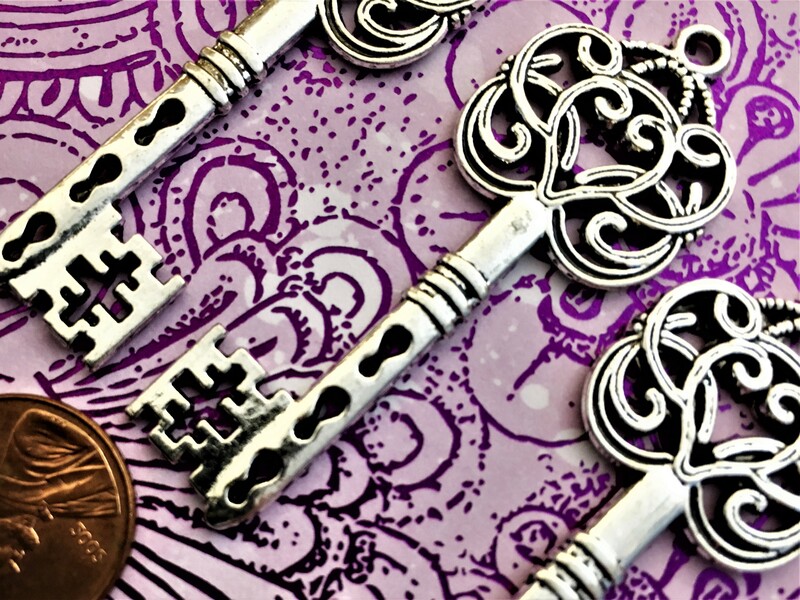 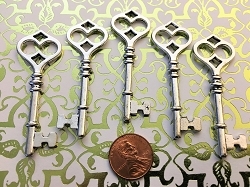 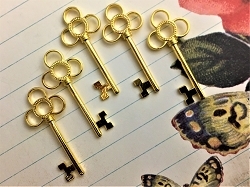 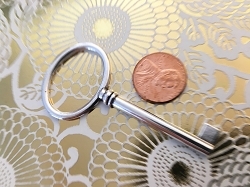 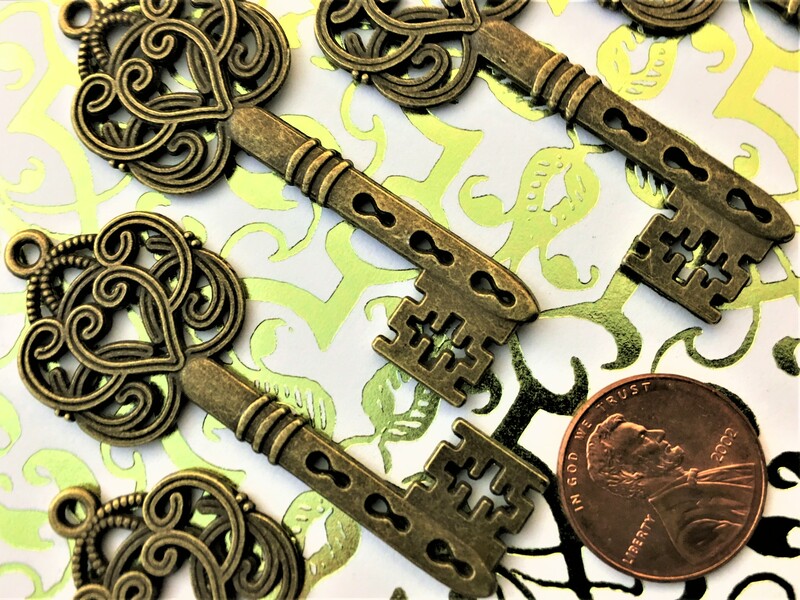 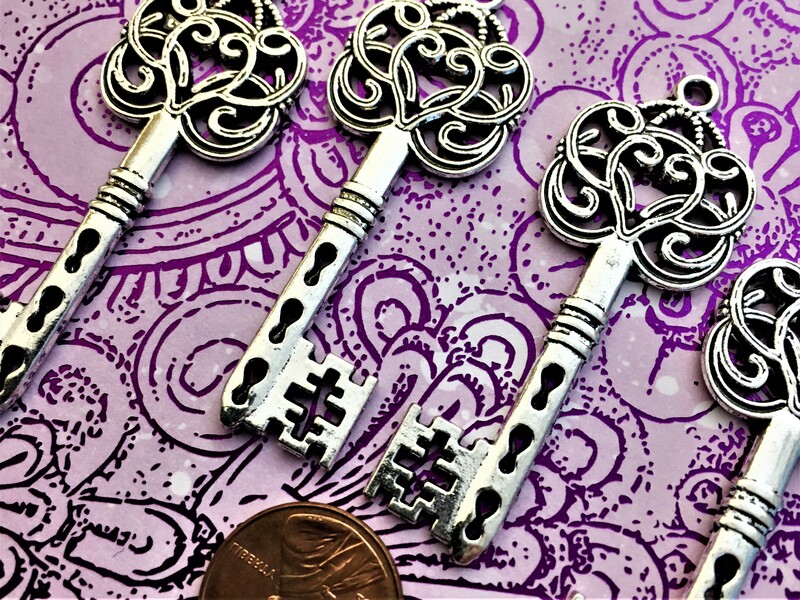 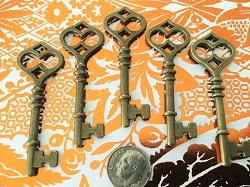 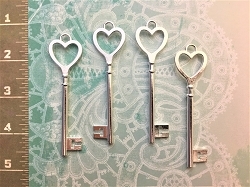 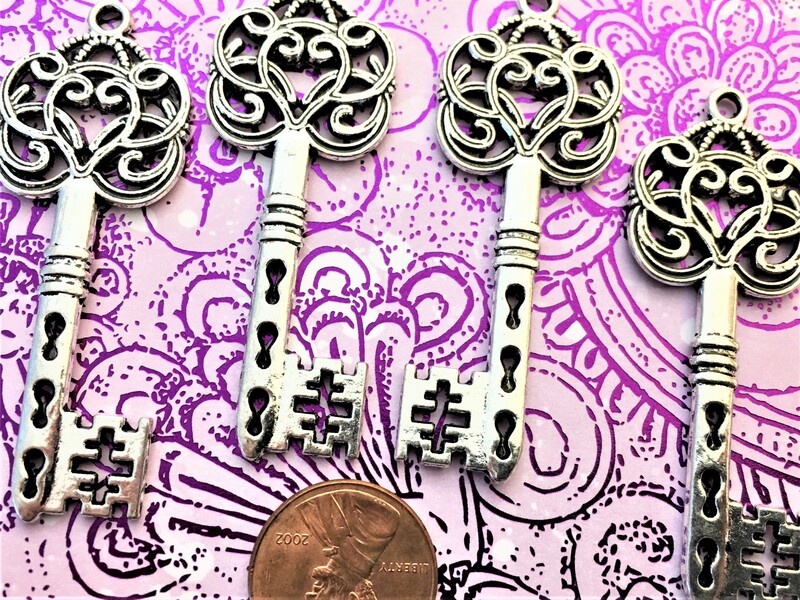 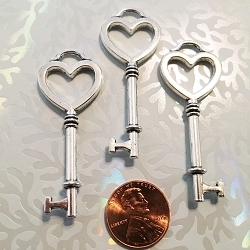 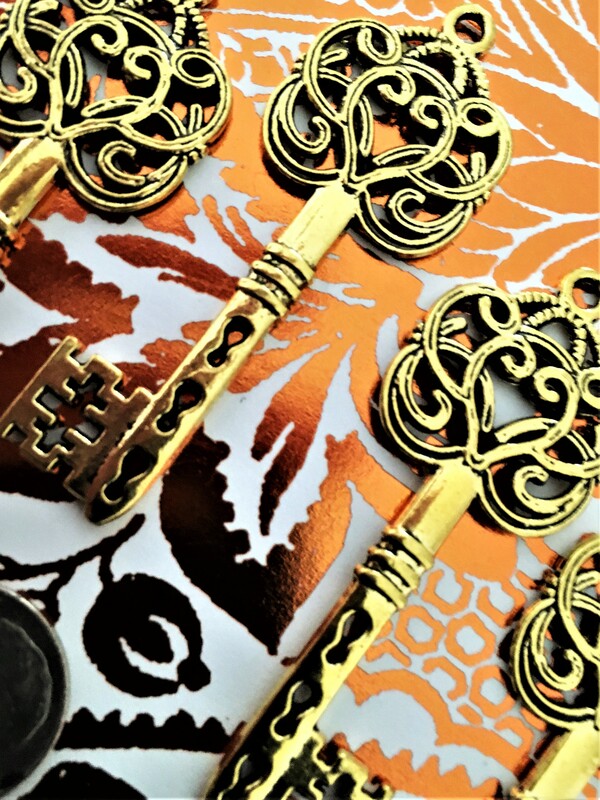 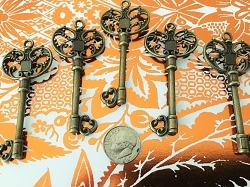 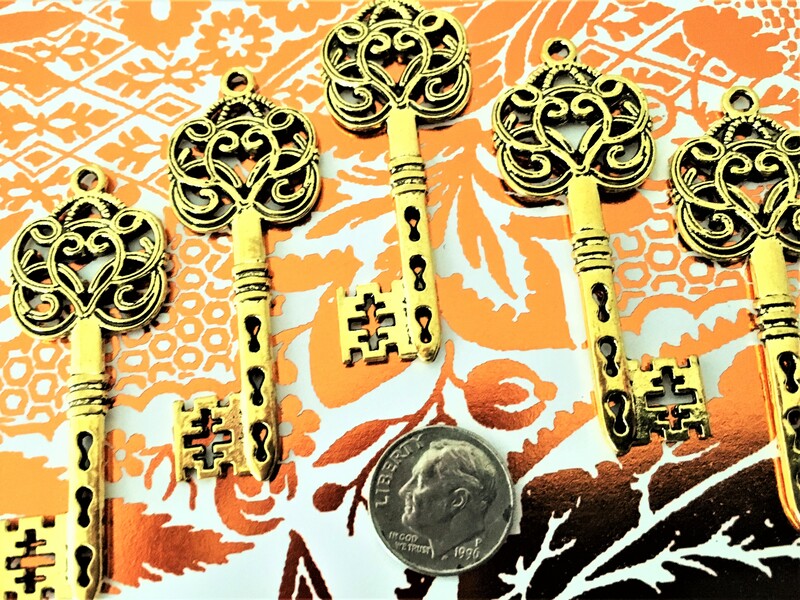 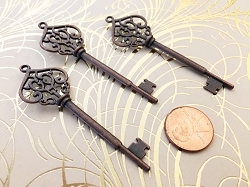 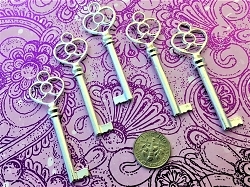 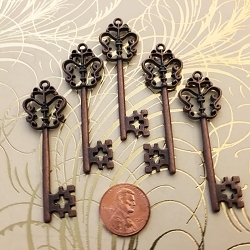 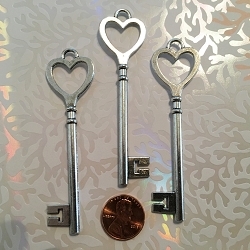 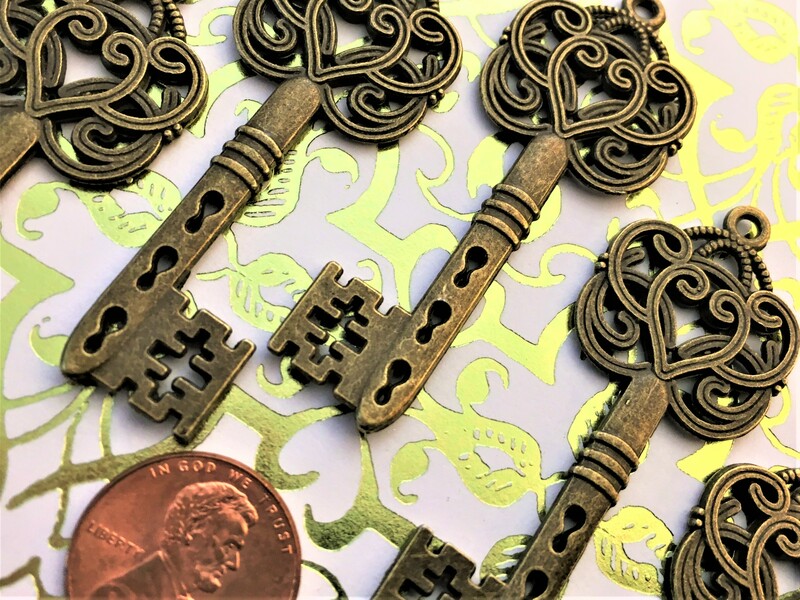 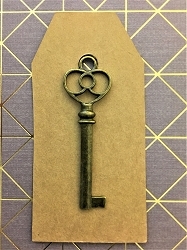 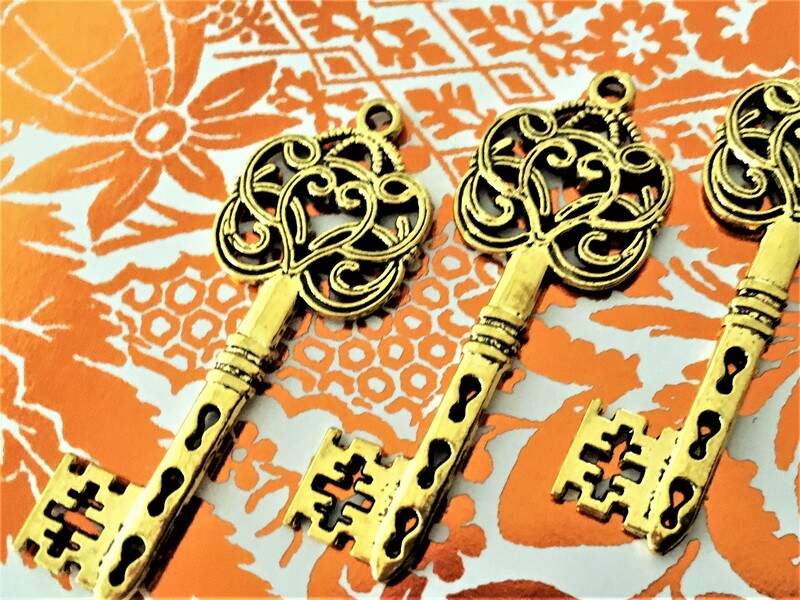 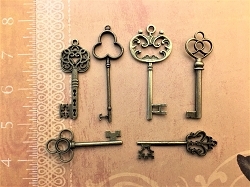 Give your crafts and jewelry making arts an extra bang with these 25 amazing, 2.5 inch long, flat gold key with ornate scrollwork surrounding a heart at the top. 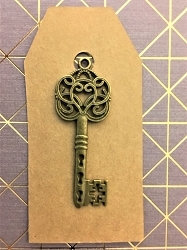 Includes 25 heavy kraft paper luggage tags! 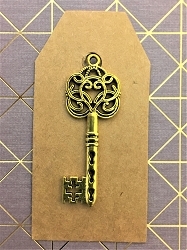 Perfect for invitations, guest seat place markers, and save the dates. 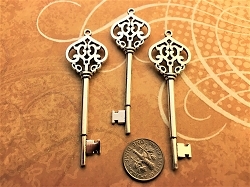 Gold tinted zinc alloy metal, double sided, very sturdy. 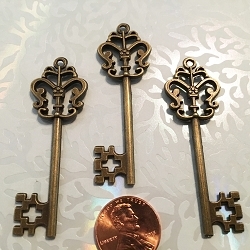 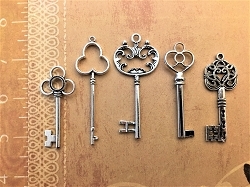 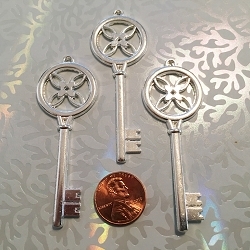 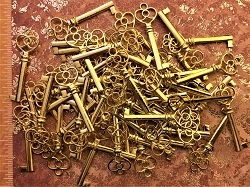 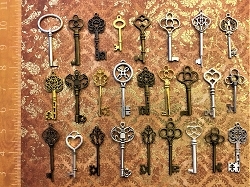 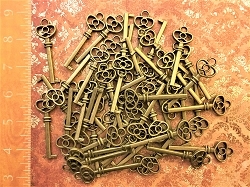 These replica keys come in 4 colors, gold, brass, silver and copper, but they won't open doors, cabinets, or other antique locks. 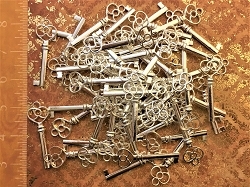 International Shipping Available. 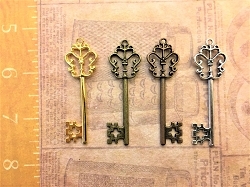 Contact me if shipping to your country is not specified so I can give you a shipping cost!